Your choice in your window and door replacement matters because these products can significantly affect various aspects of your home. The right window or door can improve your home’s energy efficiency, its curb appeal, and its resistance to bad weather. Renewal by Andersen® of Las Vegas can provide you with high-performance window and door replacements. As an expert in door and window installation, we made sure that our windows and doors feature the best quality materials. Renewal by Andersen manufactures our windows from Fibrex® material. This combines the best features of wood and vinyl. It is strong, durable, low-maintenance, and serves as an excellent insulator. It performs well under any kind of weather. 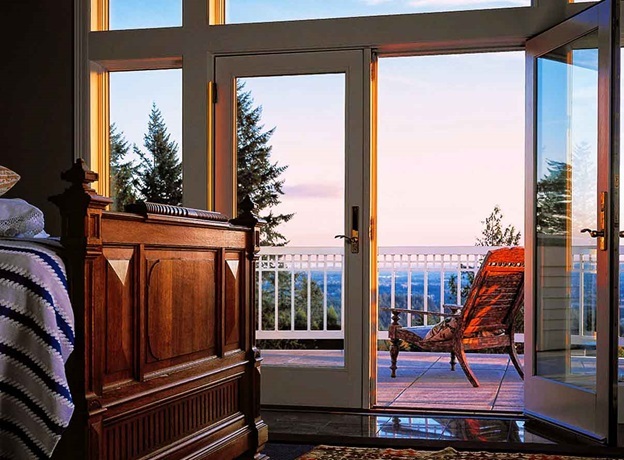 Meanwhile, our patio doors feature an engineered wood core construction for toughness, solidity, and strength. All of our doors, picture windows, and other window types come with our High-Performance™ Low-E4® glass. This glass has a spectrally selective multi-layer low emissivity coating that can improve energy efficiency. It reflects heat, keeping your home cool in summer and warm in winter. In turn, this reduces the workload of your HVAC systems, resulting in lower energy bills. Depending on your local weather and geography, this insulating glass can cut your energy bills by up to 25%. Our doors, bow windows, and other window types have an array of decorative options. We provide custom-manufactured products that we’ll tailor to your specific needs. You can personalize your windows’ size, grille pattern, grille type, hardware finish, interior finish, and exterior colors. You can also customize your patio door replacements to a similar extent. With years of experience on our side, we will work with you and help you design the best-looking windows and doors for your home. Our products can have a big impact on how your home looks and feels. With an extensive array of decorative options, energy-efficient features, and superior construction and materials, they are a good investment. We also combine our products with our start-to-finish process that makes door or window replacement a snap. We serve North Las Vegas, Boulder City, Green Valley, Summerlin, and Henderson. Call us at (702) 722-2052 to learn more about our products. You can also schedule a free in-home consultation.